The OnePlus 6 is an excellent mobile. I bought it on the first day itself, got it effectively for 32k after cashback accounted. Need to be taken care of back as glass is fragile. Need to observe the battery backup. This is an amazing phone at amazing price. Till now, loving each bit of the phone. Totally recommended and value for money. This is my first OnePlus and it has lived up to the expectations. Using the phone feels like a fast forward experience, very satisfied. Camera is exceptional and obviously competes with high end camera phones. However, it&apos;s portrait mode needs a work as it is a bit difficult to use. Face unlock detects me from quiet a distance and performs well in low light as well. Overall, this is a great phone in affordable price range. Everything is great about this phone but the only problem is the rear camera with portrait mode that is very bad i hope they will fix this problem in next update. A total value for money and totally recommended. Gestures are limited and not smooth. This is overall highly recommended if you are looking for a flagship phone at a decent price. You won&apos;t regret your decision. By the way I have moved to this phone from iPhone 6. It&apos;s worth value for money and i would highly recommend it. I personally feel if you really want fast performance, better overall camera, faster charging, on time and regular OTA updates, good looking phone at half or much lesser price that won&apos;t make a huge dent in your wallet then go for this phone without any doubts. It&apos;s currently the best one out there. OnePlus is back with another flagship killer phone with features same as iPhone but the price is much more reasonable. It has very impressive specifications. There is both fingerprint scanner and face unlock options. The camera performs great. 58 Pricebaba users have written their experience with OnePlus 6. 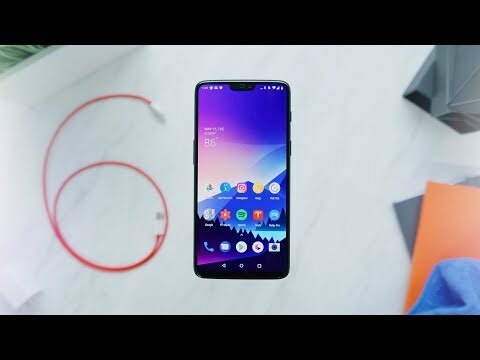 If you own OnePlus 6, please do leave your feedback too. Warranty Details 1 year manufacturer warranty for device and in-box accessories including batteries from the date of purchase. OnePlus is widely known as the ‘flagship killer’ owing to its phones being high on specifications but affordable in pricing. The OnePlus 6 which was launched in May 2018 is no different and comes with cutting edge specifications. Let’s know more about the phone in detail. Design wise, the phone has got an all new glass body that gives it a premium look and feel. It is available in Midnight Black and Mirror Black colours. The OnePlus 6 has got an Optic AMOLED display that gives a vivid and crisp output. Since it has a full screen bezel-less display, the viewing experience shall be great. It is protected with a Corning Gorilla Glass 5 sheet which makes the screen more durable. Apart from the notch on the top, the whole front is occupied with the display. Even the notch is quite small and accommodates the front camera, earpiece and a few sensors in very less space. Thera are dual cameras on the back comprising of a 20-megapixel sensor along with a 16-megapixel one. On the front, there is a 16-megapixel sensor which is capable of clicking good selfies and helps in video calling. You can record videos in up to 4K resolution. The camera also supports OIS (Optical Image Stabilization) along with EIS (Electronic Image Stabilization). The OnePlus 6 packs the best of performance and raw specifications. It runs on the flagship Qualcomm Snapdragon 845 chipset which is clocked at 2.8GHz. The processor is further coupled with 6GB of RAM for superior multi-tasking. For storage, there is 64GB of internal capacity but there is no microSD card slot so you would have to settle with the storage you choose while purchasing the phone. Another variant of the phone with better RAM and storage is available as well. It runs on Android 8.1 Oreo out of the box and comes with Oxygen OS on top. The phone offers near stock Android experience with some neat additions that improves the functionality of the device without plaguing it with bloatware. The OnePlus 6 has a 3300mAh battery unit. One of the highlights of the device is that it comes with Dash Charge, OnePlus’ proprietary technology for fast charging. So, on the battery front, there is nothing to complain about. It also comes with all sorts of connectivity options including Wi-Fi, Bluetooth, Dual 4G VoLTE and other common options.